Reports online say that Ford has filed trademark applications with agencies in the US and Europe for the Mustang Mach-E name. Concurrently, Ford has also trademarked a new, stylised version of the Mustang logo as seen here. 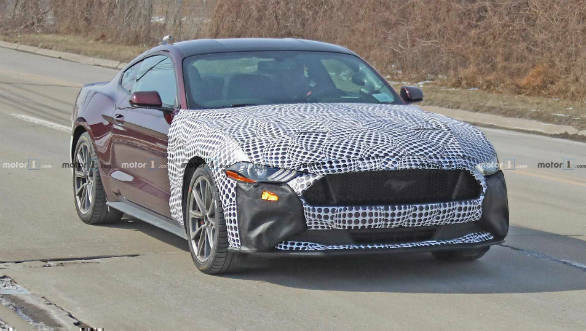 All of these are strong signs that the upcoming Ford Mustang hybrid will be called the Mach-E. The sports car is expected to be unveiled in 2020 and the company says it will provide V8 power but be much more efficient. We think that the 2.3-litre Ecoboost motor available internationally with its 315PS and 470Nm seems like a perfect fit. The engine will possibly power the rear wheels while a set of electric motors will be attached up front, giving it AWD and some torque vectoring ability. This means that a combined output of around 450PS and 650Nm seems likely. This is at par with the V8 Mustang sold here but torquier. The Mustang hybrid could also get subtle styling changes to highlight this powertrain. Apart from the new badge, there could be some eco-friendly badging, redesigned grille, bumpers and air intakes. The interiors could get highlights to suggest these changes and new trim and upholstery. It seems likely that a RHD version will be made eventually, so the Mustang hybrid can be a distant possibility for our market. We expect it to maintain its value proposition in this guise too, and have sharper responses given the new internals.